Imagine talking Cards with your loved ones! It’s so much fun to swap insights about the game of life! This book makes a meangingful and memborable gift. Your friends and family members can easily look up other people’s cards and gain “Ah ha” moments of appreciation. You see, based on our date of birth, we each have 13 Life Cards. In our Cards, we find our pathways to more fulfilling work, happier relationships, and authentic self-expression. 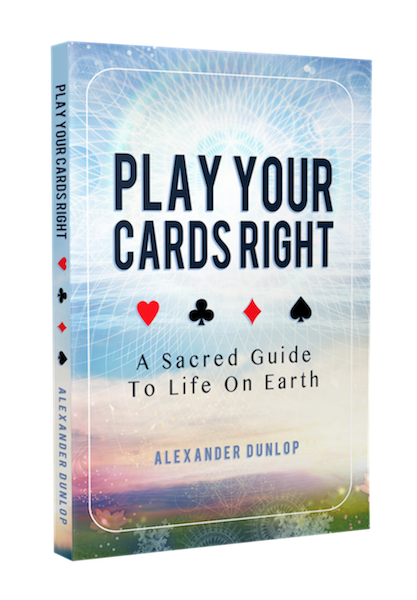 And this book makes it fun and easy to look up your Cards! I’m really excited to introduce these amazing Gift Certificates that are in the size and shape of a Sacred Playing Card. When you order these, I’ll mail you an actual Playing Card Gift Certificate printed on laminated cardstock. This Gift Certificate is for a 25 minute private consultation with me at a special rate of only $67 with the Gift Certificate. It’s a perfect gift to help someone you know gain clarity, direction, and peace of mind. Check out these special jewelry items that have been attuned with healing properties. A special, meaningful, and uplifting gift. 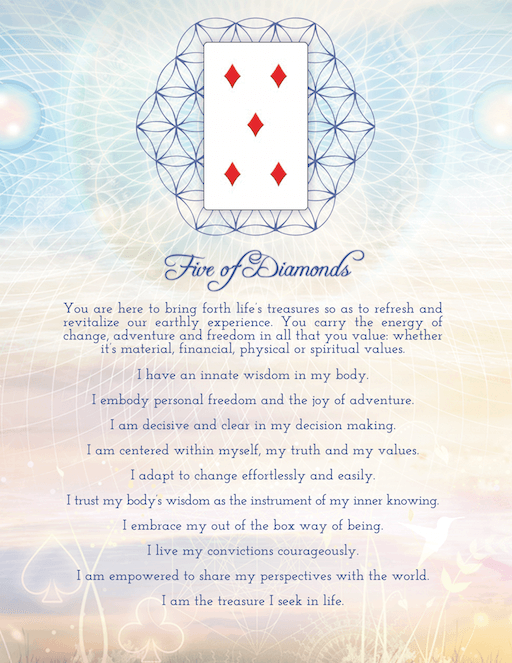 These Beautiful Affirmation Cards come with 13 Affirmations to help you activate the best version of yourself. Order both your Birth Card and your Personality Card to complete the picture of your primary patterning in life. Have a visual reminder to connect with your authentic essence. Just looking at it brings healing and peace. Plus, you can speak these Affirmations out loud to be fully empowered.